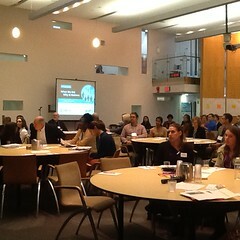 Celebrate Global Handwashing Day: Raise a Hand for Hygiene! 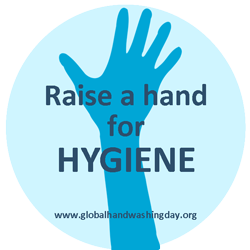 October 15 marks the annual celebration of Global Handwashing Day. Over 200 million people will be promoting one simple behavior that can save lives all over the world—handwashing with soap. Every year, 1.7 million children are killed by diarrhea and pneumonia—two diseases that can be significantly prevented through good hygiene practices. Even with the knowledge that handwashing with soap can improve health and save lives, it isn’t practiced nearly enough, and resources geared toward its promotion, necessary supplies, or facilities are inadequate. 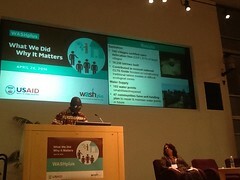 The WASHplus project, funded by USAID, is working diligently to address the lack of infrastructure that prevents access to handwashing with soap, and promoting simple messaging around washing hands with soap at critical times. This can reduce the incidence of diarrhea among children under 5 by 47 percent and respiratory infections by approximately 25 percent. Hygiene is also critical to educational achievement, ensuring that students don’t miss school due to illness; economics, through increased worker attendance and productivity; and equity, which girls gain when they are able to safely manage menstruation at school. Given the broad impact of hygiene, it is essential that handwashing facilities and behavior change programs be prioritized. 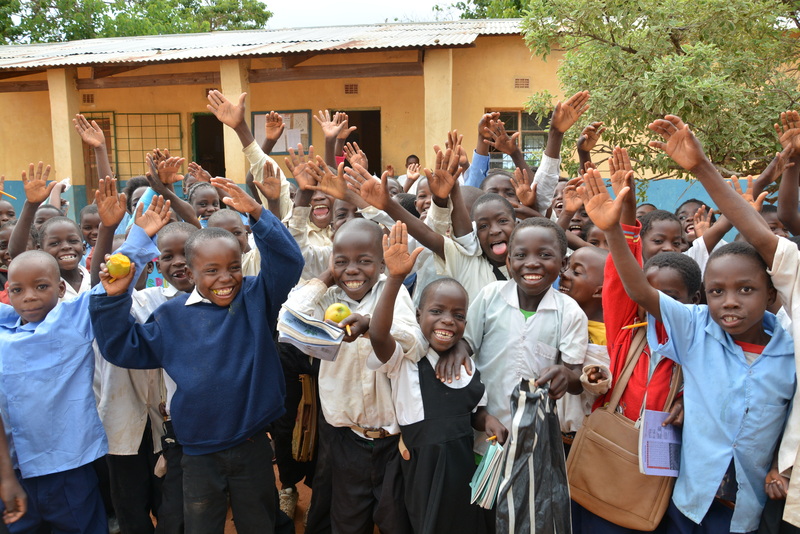 Join us in raising a hand for hygiene on Global Handwashing Day and every day! Enjoy the joyful images of handwashing activities from our project activities, where we work to increase awareness and understanding about the importance of handwashing with soap as an effective and affordable way to prevent diseases and save lives. 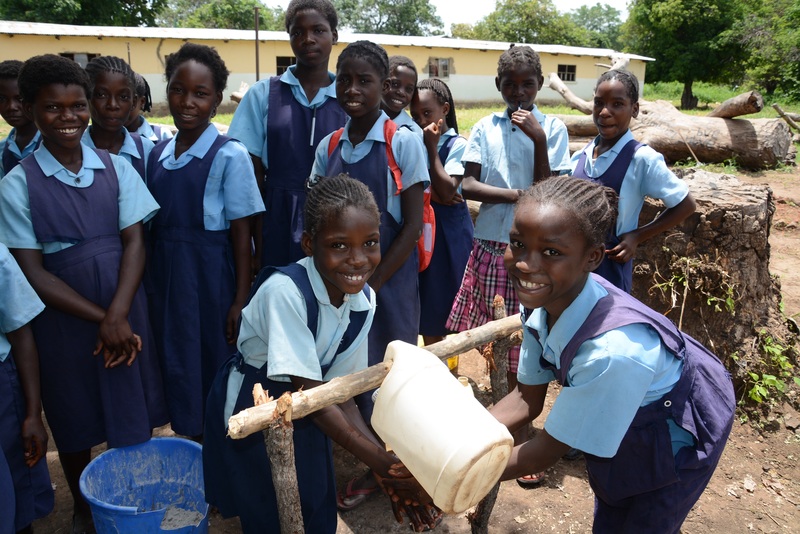 These school children in Zambia’s Eastern Province know the importance of having clean hands and can now practice good hygiene behavior thanks to the SPLASH (Schools Promoting Learning Achievement through Sanitation and Hygiene) project’s installation of handwashing stations at their school. Plastic water bottles are easy to find and turn into simple tippy taps for handwashing. 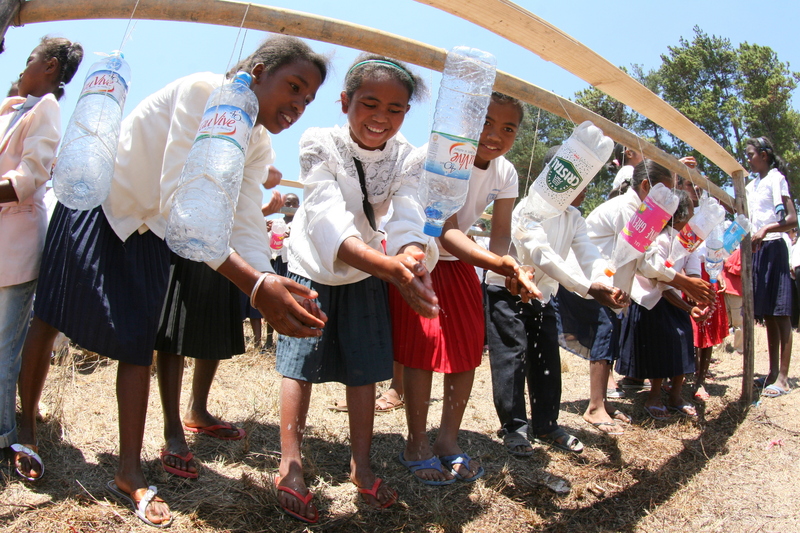 Strung together on a pole, they make a group handwashing station at a school in Madagascar. Thanks to WASHplus’s SPLASH project in Zambia, students at Kakumbi Primary take their lessons on handwashing seriously and pass these improved behaviors along to their households and communities. In Bangladesh, WASHplus works to integrate important WASH (water, sanitation, and hygiene) behaviors into nutrition activities. Washing hands before cooking, eating, or feeding a baby is emphasized to mother’s groups. 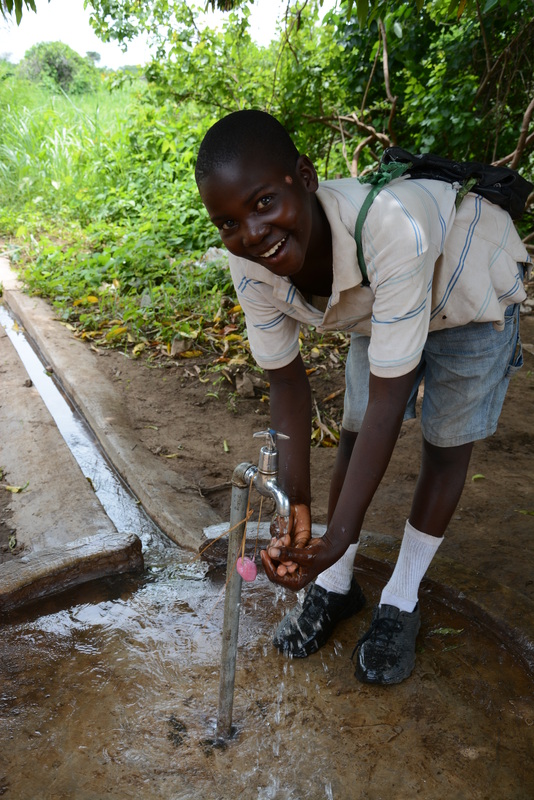 This school boy is lucky to attend a WASH-Friendly school that ensures its students have enough latrines for boys and girls with available handwashing stations, a clean schoolyard, and lessons that incorporate important sanitation and hygiene messages. 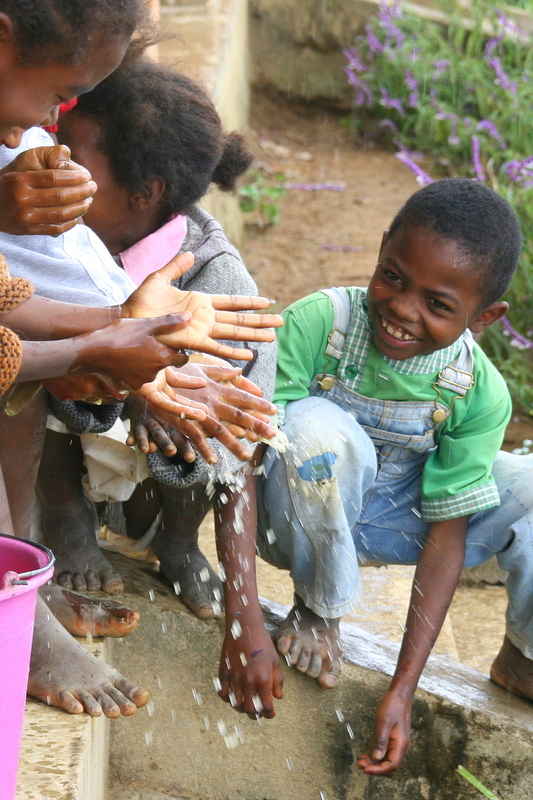 Children in Madagascar wash their hands with soap and water before going home for lunch. 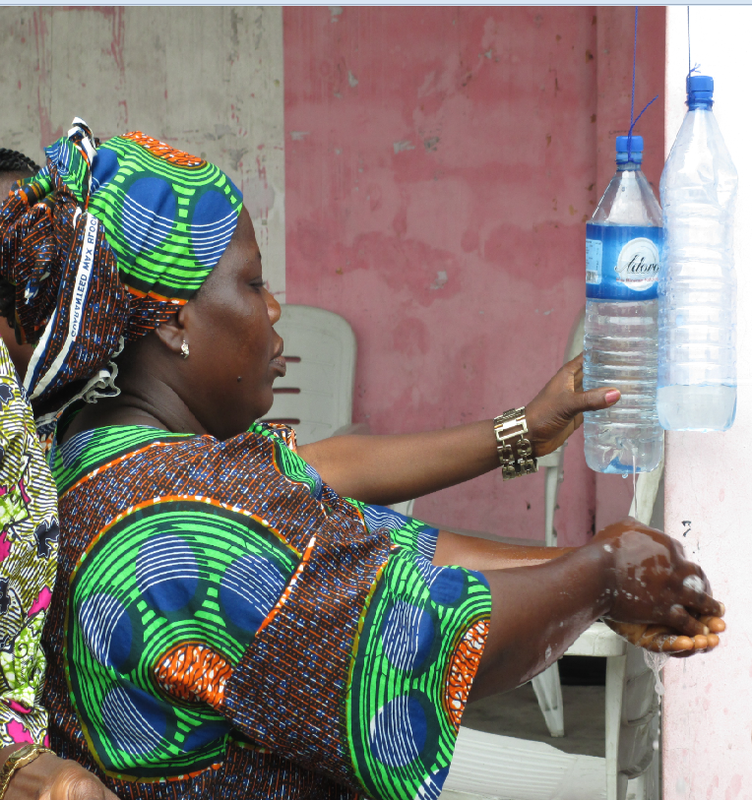 WASHplus trains community health workers in Benin to make household tippy taps for handwashing using readily available materials. 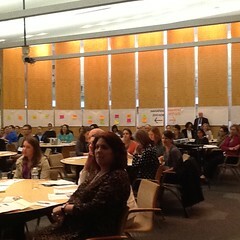 These workers pass on the knowledge through household visits and community events. As part of its nutrition screening and referral activity in Mali, WASHplus shows how to wash hands properly with soap before children eat at nutrition centers and before meals are prepared during community cooking demonstrations. 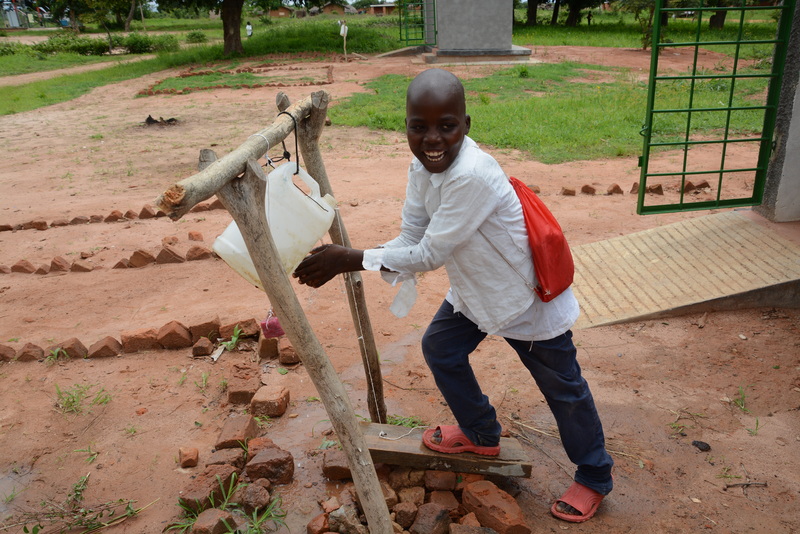 New water points and soap encourage handwashing at schools in Zambia and also have a profound impact on surrounding communities that are encouraged to use them after attending sensitization training on how to protect the infrastructure and contribute to its maintenance.